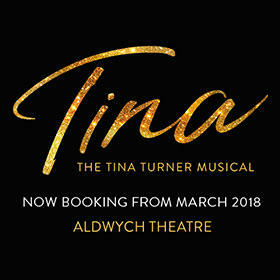 Aldwych Theatre London - Get All updates of its shows and Booking. Catch the exciting and sensational brand new London show Bring Up the Bodies at the magnificent Aldwych Theatre London. The show earlier marked a sucessful opening at Stratford Avon and now has been adapted in association with Mantel by Mike Poulton. The show is adapted from the award winning Book which won the Costa Book of the year and 2012 Man Booker Prize. Another hugely anticipated show Wolf Hall is all set to make an entry to Aldwych this August for limited performances. The show is adapted from the multi award winning novel by Hilary Mantel. Aldwych Theatre is located at 49 Aldwych, London, WC2B 4DF and is located on a road called as Aldwych. This Westend area is the abode of both Aldwych and Novello Theatres as they are located at a nearby distance to various other theatres. Other major atractions located near the theatre are National Gallery and Portrait Gallery. For theatre lovers and visitors, there are various restaurants and bars which suits all budget. Aldwych Theatre is accessible via various modes of commutation such as buses, tubes, taxis and cars. The stunning theatre dates back to 1905 and was originally designed as twin to the Novello Theatre.Some of the huegly famous shows and musicals are hosted here. The blockbuster musical Dirty Dancing made its debut here and went on becoming a great commercial success. The theatre seems like Novello Theatre in a traditional Georgian design. The magnificent theatre is categorised into three levels as Stalls, Dress Circle and Grand Circle. For those who are looking for the best view of the stage then opt for the Stalls. Overhanging the stalls is the Dress Circle and situated on the first level. On the other hand, the Grand Circle is quite high above theatre and is unhindered. For disabled patrons and their carers, theatre offers discounts and concessions. The Box Office is equipped with induction loop, whereas an infra-red system inside the auditorium. The building of Aldwych is listed as Grade-II and origianlly built as a pair alon with Waldorf now called as Novello. In the year 1905, Aldwych theatre made its debut with an astounding occupancy of 1200. Aldwych Theatre has hosted a range of Westend productions from farce to Shakespeare. The initial two decades of the theatre hosted eclectic selection of plays such as the pantomime Bluebell in Fairyland and plays The Unknown, Le Sacre du Printemps and The Beauty of Bath. After 1925, Aldwych Theatre started hosting some unique shows sucha s Ben Traver’ Aldwych Farces. These light hearted productions became immensly popular with theatre lovers and ran until the year 1993. After these farces, Aldwych hosted works of famous writers such as Tennessee Williams, Daphne du Maurier and Christopher Fry.Tennessee Williams, Daphne du Maurier and Christopher Fry. The Golden era of the theatre started from 1960 to 1982 as theatre was home of the Royal Shakespeare Company. During this era some of the critically acclaimed shows, actors performed at the Aldwych Theatre. Some of the current notable productions at the Aldwych Theatre are Midnight Tango and Strictly Come Dancing!